Thanks so much to everyone who submitted a Good Score during our inaugural week! We’re so excited to see the treasures you’ve found and to be able to highlight them here so others can enjoy them as well. Keep ’em coming, this is fun! I found this chair (sans cushions) on the curb side in Portland, Oregon. About 1969 I think. I dragged it around for years, waiting to resurrect it. Finally, in 1993, we had the leather cushions made. It only took 24 years! It was worth the wait. 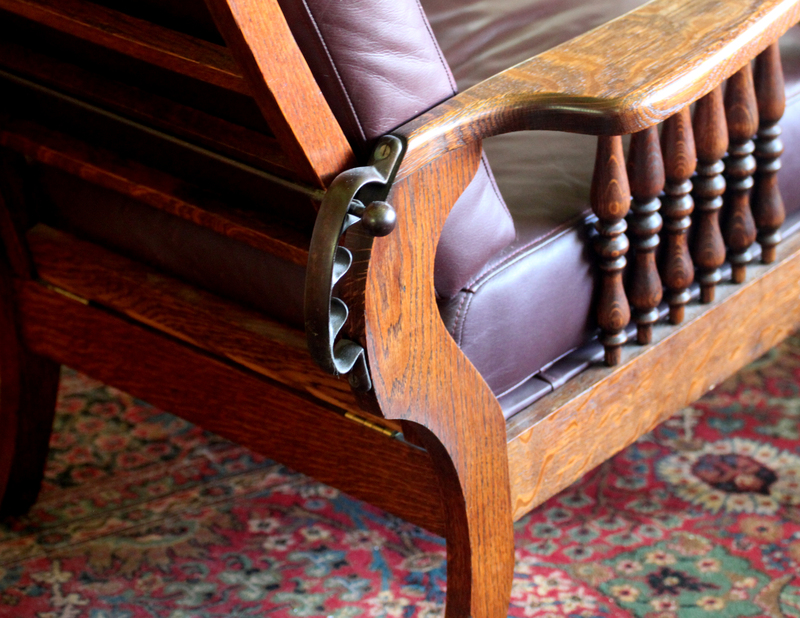 It’s the closest we’ll ever get to a “recliner”. Here is my entry: a wood-and-wire faded birdhouse, purchased for $10 in Ketchum, Idaho at the venerable Gold Mine thrift shop. 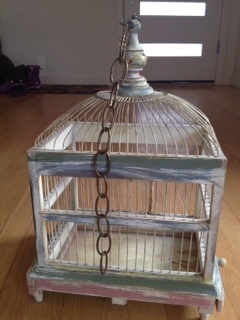 Obtained for my five-year old daughter’s bedroom, now decorated in a bird motif at my whim, not hers (“Mom, you are so much more excited about this bird thing than I am.”). I found this sweet faced Kwan Yin in a Goodwill in Springfield, Oregon. She was in their “special” glass case. I paid $7.00 to bring her home. She joined Mayumi Oda’s woodblock print, “Love Yourself,” depicting Kwan Yin seated amongst willows by a river, which hangs above my desk, and a bronze-like three foot tall garden Kwan Yin which we placed on an ancient stump near our front porch. I loved the grace and the delicacy of this eight inch figurine. She’s been broken once but her little hand retains its compassionate outreach with only a thin bracelet of brownish ceramic showing. 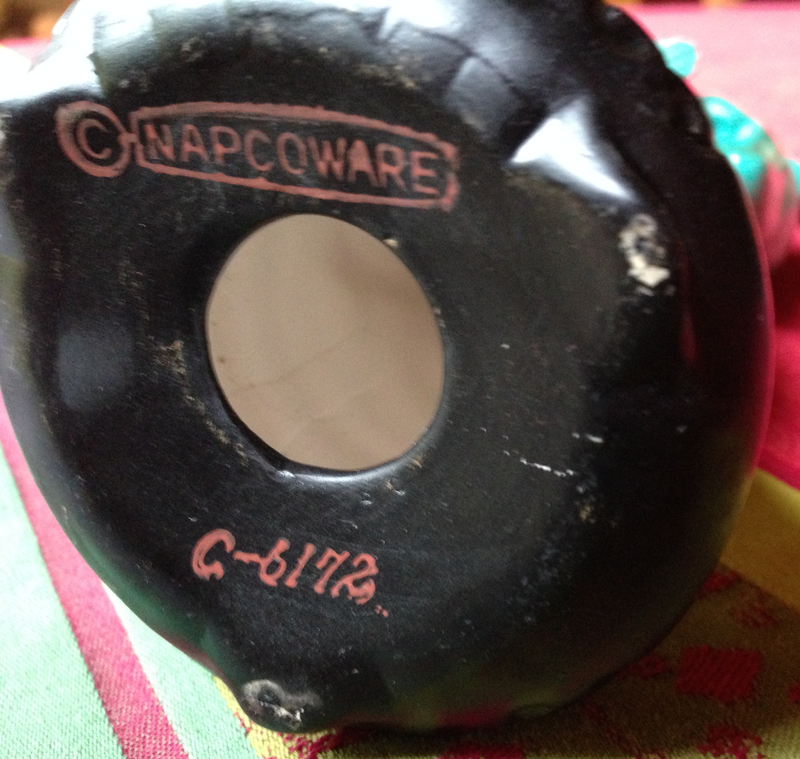 The trademark under the glaze of the base reads C_Napcoware. C-6172. The National Potteries Company originated in Ohio in 1938 and is still making ceramic pieces today. I haven’t been able to find any Napco Kwan Yin on the internet nor any explanation of the numbers and what they might mean. Although the mark doesn’t read “Made in Japan” I believe that may have been her country of origin since many, many Asian figurines came from this company’s potteries there in the ‘50s and ’60. We can never have too many representations and reminders of compassion in our homes and in our world. 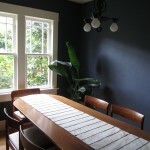 In 2011 my husband and I bought a flat in NW Portland, Oregon. 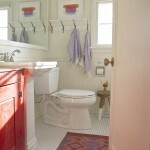 The interior walls were painted red. We had no furniture for the place except a few things left by the former owner. 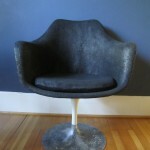 While looking for furniture at Portico, in SE Portland I found this chair. It was the first thing I bought for the flat. It cost $20, and it set the tone for everything else I bought. 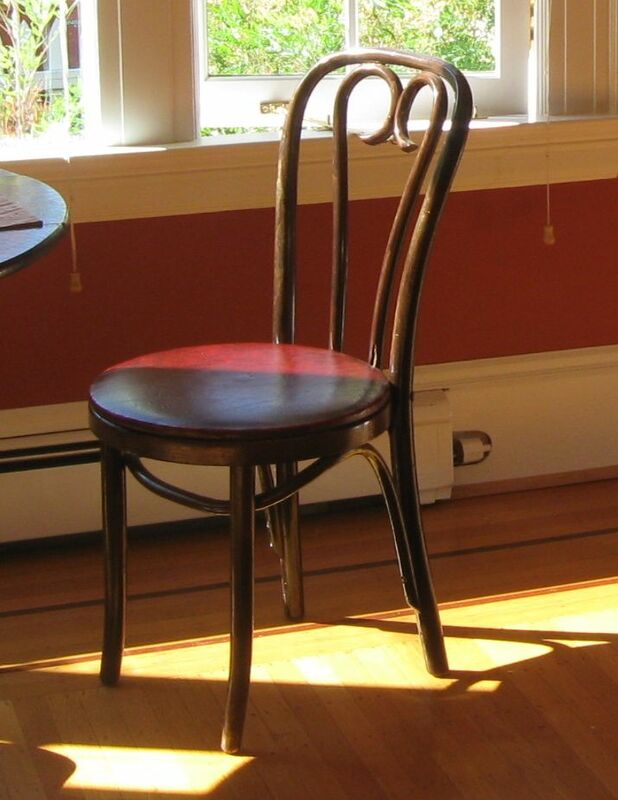 For a long time it was our only dining room chair. My grandsons still prefer to sit in it even though they now have choices. I’ll say Good Scores! This is so much fun – I love to think about how objects attract a person – convincing somebody to see potential gorgeousness by the side of the road or amongst a welter of other objects in a shop. 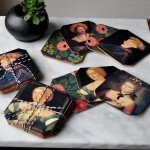 Lucky objects these – so well adopted and adapted! Thanks Red House West for dreaming up this unique feature and making a place for sharing stories. And I’m pretty excited about that birdcage! 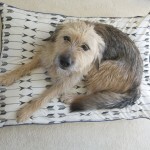 ‘So well adopted and adapted’ –very well put Katy! I’m so excited to see the next round of submissions. 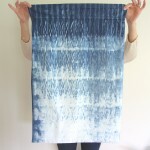 Thanks so much for this blog. As a thrifter, it’s so much fun to see what everyone finds. I’ll send pictures soon of my finds. Ooooooh, looking forward to seeing your pics! Thanks Pam! I hope people share lots and lots more of these. I love reading about the things that call out to people, often when they’re not looking for anything. It’s so interesting – the way stuff becomes treasure. That chair is a gem! I love those details! I don’t want to be a know it all. 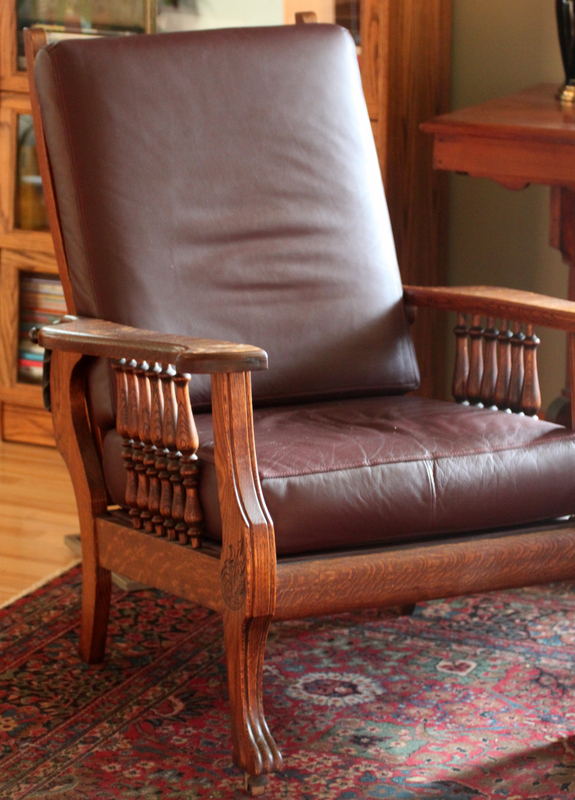 But that chair is called a Morris Chair! They were the first recliners. I only know because they’re hella comfortable and sought after in my family! 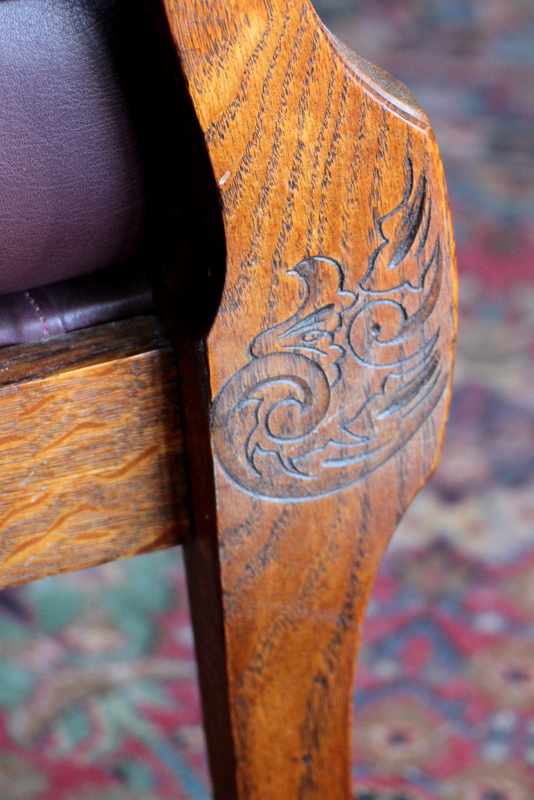 That one is more ornate, but is still absolutely a true Morris Chair! Great find.